KATH Mainland, the chief executive of the Edinburgh Festival Fringe, is to leave her post in the year to take up a new job in Australia. She surprised many people by announcing she will be taking over as executive director of the Melbourne Festival – less than 18 months after being awarded a CBE. She will be leaving her post exactly seven years after she was appointed to lead the Fringe following the disastrous introduction of a new box office system which took the event to the brink of financial ruin. She has overseen the rapid expansion of the world’s biggest arts festival, breaking the two million barrier for ticket sales last year. The number of shows and performances in the official Fringe programme has soared by around 60 per cent in the past seven years. The infrastructure available for Fringe shows has hugely expanded in that time, with the number of venues rising by 25 per cent, to 313 this summer. Her departure will be seen as a major blow for the Fringe, which will celebrate its 70th anniversary in 2017, along with the Edinburgh International Film Festival. The Melbourne Festival, which is staged for 17 days each October, is one of Australia’s leading arts festivals. Ms Mainland will be joining in time for the event’s 30th anniversary celebrations in 2016. A statement from the Edinburgh Festival Fringe Society, the event’s governing body, announcing Ms Mainland’s departure said a recruitment process to find a replacement will begin “imminently”. Ms Mainland said: “After seven truly incredible years as chief executive, the time has come to move on to pastures new. I love the Fringe and I have lived in Edinburgh for over 20 years because of it. I’m immensely proud of the Festival Fringe Society staff and their achievements. “I have had the opportunity to work with an amazingly hard-working, imaginative and talented group of people. I’d especially like to take this opportunity to thank all the creative souls who take part in the Fringe and make it what it is – the world’s largest, most renowned open-access festival. “Every year artists from all over the world travel to this great festival city to bring audiences their extraordinary work, and it’s because of them that the Fringe is so successful, and Scotland has such a unique cultural event to be proud of. In Melbourne Festival’s announcement, Ms Mainland said she was “thrilled and delighted” to secure the role. She added: “The Melbourne Festival is one of Australia’s flagship international festivals and a key destination in Victoria’s cultural calendar. Jonathan Holloway, artistic director of the Melbourne Festival, said: “Kath has festivals in her DNA and the leadership she has displayed at the Edinburgh Festival Fringe has been universally admired. Born in Orkney, Ms Mainland has been working in the Capital’s arts scene for almost 25 years, since she worked at the Fringe as an administrative assistant, and is now one of the country’s most highly-respected cultural leaders. She joined the Fringe from the Edinburgh International Book Festival, where she had been working as administrative director for more than four years. Her previous roles have included managing the Assembly Rooms as a Fringe venue during August and working on Edinburgh’s Hogmanay celebrations. She became the first ever chief executive of the Fringe under a shake-up ordered by its board to rebuild confidence among performers and companies in the wake of the 2008 box office fiasco, which saw ticket sales plunge by 10 per cent. Ms Mainland has announced her departure just months after long-time counterpart Faith ­Liddell revealed she would be standing down as director of city umbrella body Festivals Edinburgh. Her replacement, Julia Amour, a former regional director of the British Council, is due to start next month. The departures come in the wake of a major report into the future of the Edinburgh festivals, which warned the city faced being relegated from the premier division of events if their current funding is not maintained. The run-up to this year’s event was marred by revelations that the Fringe Society had been the victim of fraud. Ms Mainland revealed that an employee had been found to have stolen £220,000 over the course of eight years. This year’s Fringe was the most successful yet with 2,298,090 tickets – a five per cent up on 2014 – despite a shift in dates by the Edinburgh International Festival, which brought the two events together for the first time in almost 20 years. However, the Fringe Society was urged to consider moving its dates again by an outgoing director, Tommy Sheppard. The newly-elected Edinburgh MP wants the event to consider moving its dates forward by up to a fortnight to coincide with the school holidays in Scotland. In a hard-hitting speech in August, he said there was a danger of the Fringe becoming a “cultural playground” from which poor people were excluded, unless action was taken over the high cost. He also suggested the Fringe create an accommodation agency to tackle the soaring costs of staying in the city in August, rather than leave it to the “chaos” of the open market. 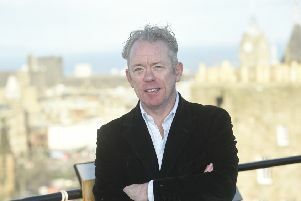 Sir Timothy O’Shea, chairman of the society’s board, said: “Kath’s passion for the arts, their place in society and our unique festival city of Edinburgh has led her to achieve great success as chief executive. “Her enthusiasm is contagious, her spirit is generous, and her vision and hard work has been truly remarkable. We are extremely sad to see her go. “It was an immense pleasure to see Kath’s dedication recognised with the honour of CBE in the Queen’s Birthday Honours list in 2014. Richard Lewis, culture leader at the city council, said: “Kath Mainland has worked to great effect with and for festivals for over 20 years. She has overseen the extraordinary development of the event and represented Edinburgh and the Fringe across the world. • Within months of Ms Mainland’s appointment in 2009, a year on from the failure of its box office system, ticket sales were up 21 per cent on 2008 and nine per cent more than the previous record. • The Fringe’s recovery looked complete in 2011 when new research found it was worth £142 million for Scotland’s economy – up from £74 million five years earlier. • Despite competing with Glasgow’s Commonwealth Games, in 2014 the festival recorded a 12 per cent increase at the box office and broke the two million ticket sales barrier. • The only ticket sales blip during her tenure came in 2012 when the early part of the Fringe faced direct competition from the London Olympics. Ticket sales dipped by nearly one per cent. • Ms Mainland was caught up in a bitter freedom of speech row over a cultural boycott targeting state-funded Israeli performers. Critics warned the festival’s “open access” policy was undermined when two shows had to be cancelled. • With just days to go until the start of this year’s Fringe, Ms Mainland admitted a member of staff had stolen £220,000 from the Fringe Society over an eight-year period.